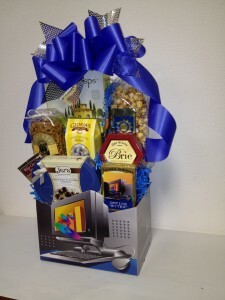 Fun gift basket for Administrative Professionals Day! Wednesday, April 25th, is Administrative Professional’s Day. It is a day to acknowledge, thank and celebrate your hard working team! They come in early, stay late, are loyal and dedicated, and you can always count on them to get each project done! Where would you be without them? 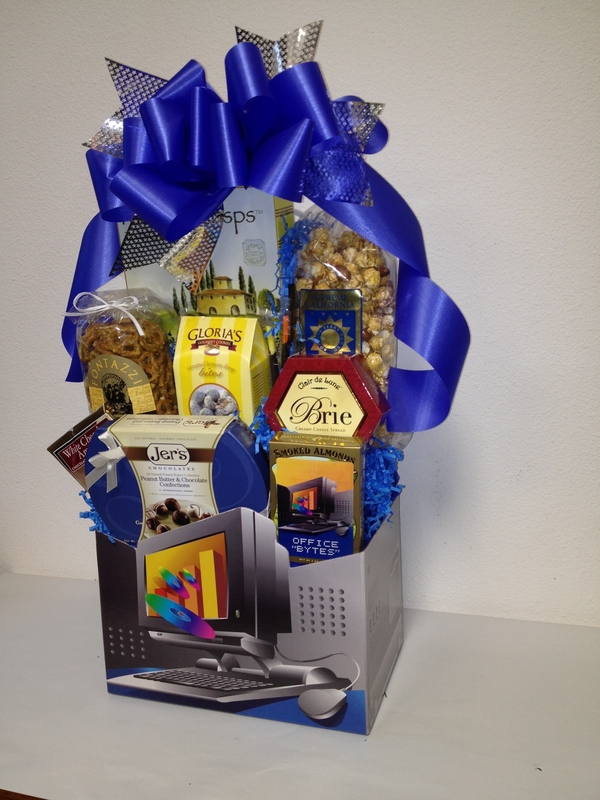 Our “Office Bytes” computer themed gift basket is very popular for Administrative Professional’s Day. It includes cheese, crackers, nuts, pretzels, caramel corn, cookies, award winning chocolates and more. Give us a call to arrange a unique, custom designed, gift basket to be delivered on Administrative Professional’s Day for each team member of your team, or an Office Party gift basket for the whole team to share.